Paul and Judy Rice purchased Parrot Oil Company in 1980, and changed the name to Rice Oil Company. 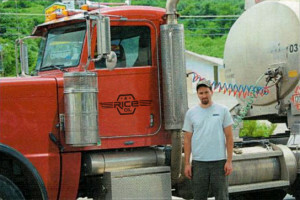 The Rices were committed to providing excellent quality and service as well as superior products to the mining industry, convenient store industry, and more. Rice Oil was purchased in 2007 by Odus Mundy and Addie Rice Mundy who have continued to provide quality services. Rice Oil continues to serve clients they have served since 1980.